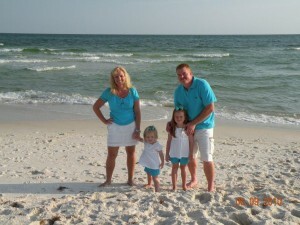 My name is Darrin Southern, and I am the owner of All Expert Restoration, along with my wife Susie, and daughters Kenna and Kylie! I have been in this business for over 20 yrs and have many certifications in carpet cleaning, repairs, restretching, upholstery cleaning, tile and grout cleaning, and much more. We also specialize in water damage, extraction, drying, and recovery. Water damage under wood floor and carpet can sometimes be salvaged. We are based in Mansfield, TX and serve all of DFW. We have thousands of reviews from happy customers we would be glad to share! Providing over 20 years of happy customers at All Expert Carpet cleaning in the Mansfield, TX area and all of Tarrant county. We are a full service carpet cleaning service. We also perform upholstery cleaning, carpet repairs, re-stretching, and tile and grout cleaning, and air duct cleaning. We also provide 24 hr water extraction, drying, and fire damage restoration. Will work direct with Ins. Co. We have powerful truck-mounted equipment and latest methods used to service your carpet! Please visit our “services” area and the rest of our site for valuable information. P.S. We pride ourselves in everything we do-from the smallest job to the largest job! We are so confident that you will be completely thrilled at the results of our service. OUR GOAL IS TO MAKE YOU A CUSTOMER FOR LIFE!